It's finally happening, you guys. Kill All Monsters is coming back and it'll start June 22 at Heroes Con. 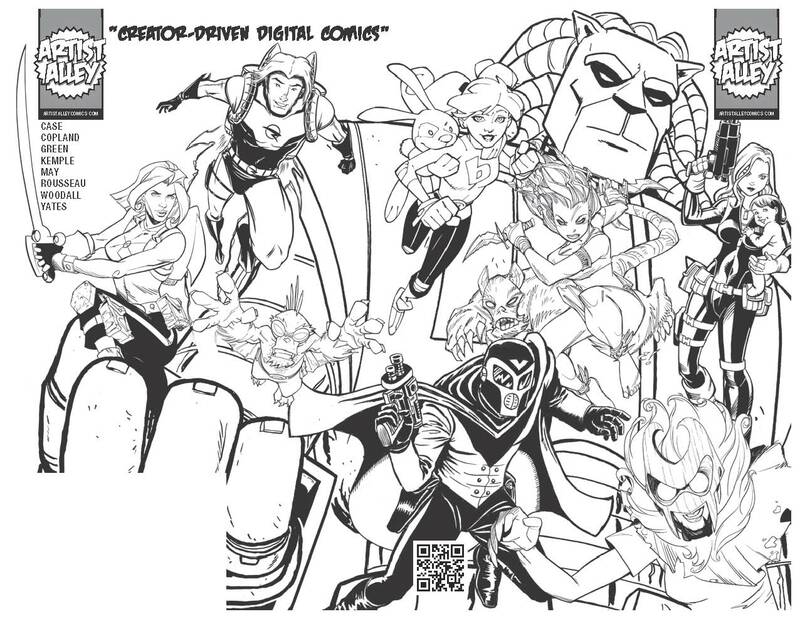 We'll unveil more details later, but the gist of it is that Jason and I were invited to join a creator-driven digital comics initiative called Artist Alley Comics. It was created by some folks you may have heard of: Rich Woodall (Johnny Raygun), Craig Rousseau (The Perhapanauts, Impulse, Spider-Man Loves Mary Jane), and Kelly Yates (Doctor Who, Amber Atoms). Rich and Craig's Artist Alley comic will be the previously teased Kyrra: Alien Jungle Girl; Kelly's is an awesome looking deal called MonstHer. Other creators participating in the launch are Richard Case (Hunter: The Age of Magic), Chris Kemple (Negative Burn), and Randy Green (Tomb Raider, New X-Men). Richard's comic will be called Annie Ammo, Chris' is Red Vengeance, and Randy's is Dollz. Kill All Monsters! is the sixth title in the initial launch and I'm extremely proud and pleased to be associated with this group. 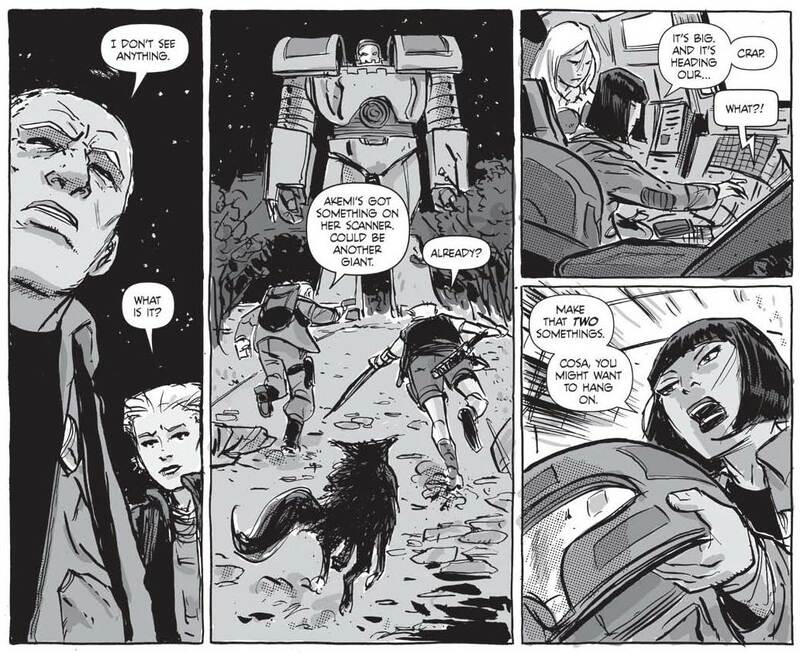 I'd give you brief descriptions of each series, but there's a preview PDF that gives a great peek at them, including six, never-before-seen pages from Kill All Monsters! Next steps for the group are to launch a color preview at Heroes and I imagine we'll be releasing details about the full, digital launch at that time. In the meantime, here's one of KAM's six preview pages (there are actual monsters in the other five), so please check out the PDF and see everything that Arist Alley has to offer.